The Royal Room was packed last night and the music was hot. 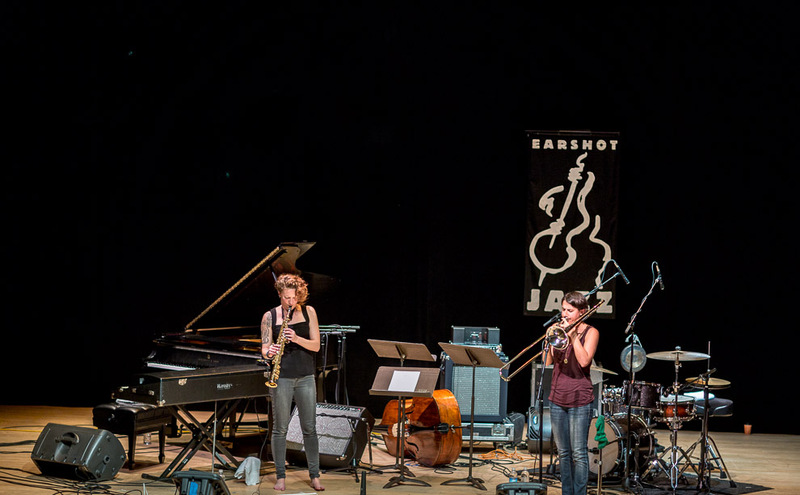 Bandalabra was presented by the Earshot Jazz Festival to the Columbia City venue and they rocked the house. Every one of these guys played great. 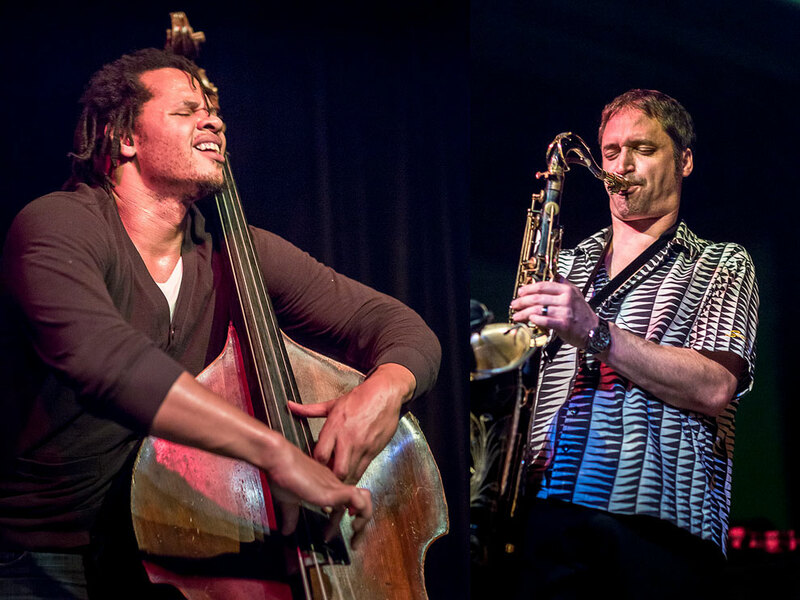 Part Afro-beat rhythm, part psychedelic punk, Seattle’s Bandalabra evokes the sounds of “Fela Kuti meeting Steve Reich in rock’s backyard,” group founder, punk-jazz saxophonist Skerik says. 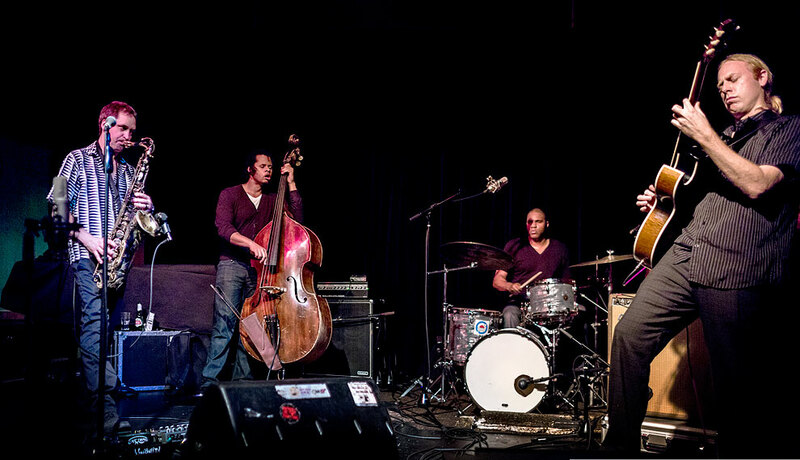 The lively quartet includes well-loved locals D’vonne Lewis on drums, Evan Flory-Barnes on bass, and Andy Coe on guitar. I was really impressed with the Christian Scott Band last night at the Triple Door as part of the Earshot Jazz Festival. 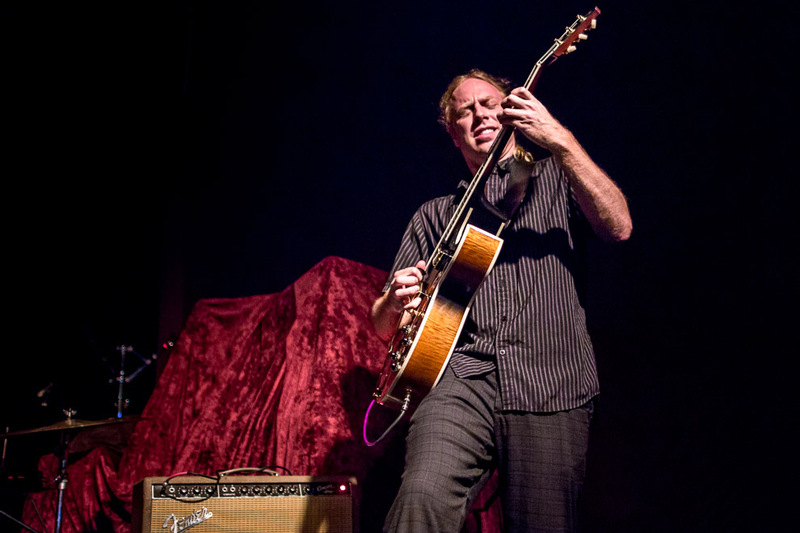 I had never heard Christian play and he has a wonderful tone and a high level of energy that was great. 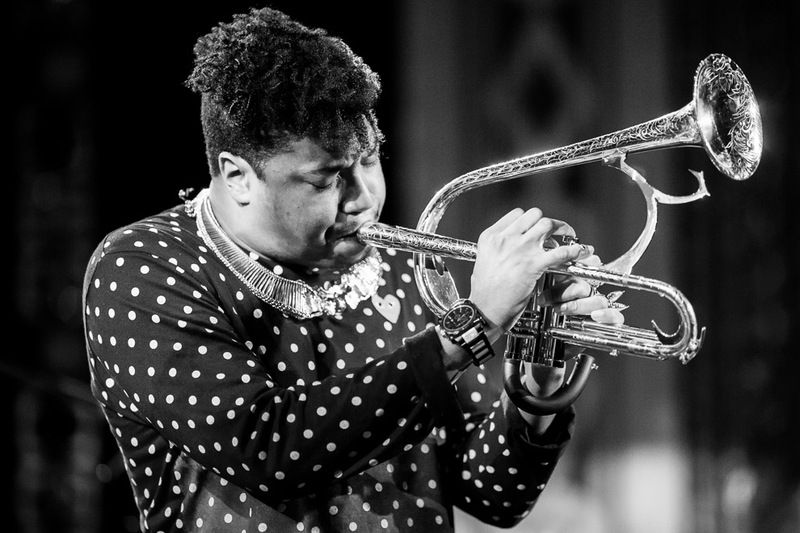 Christian Scott grew up in a jazz family in New Orleans. 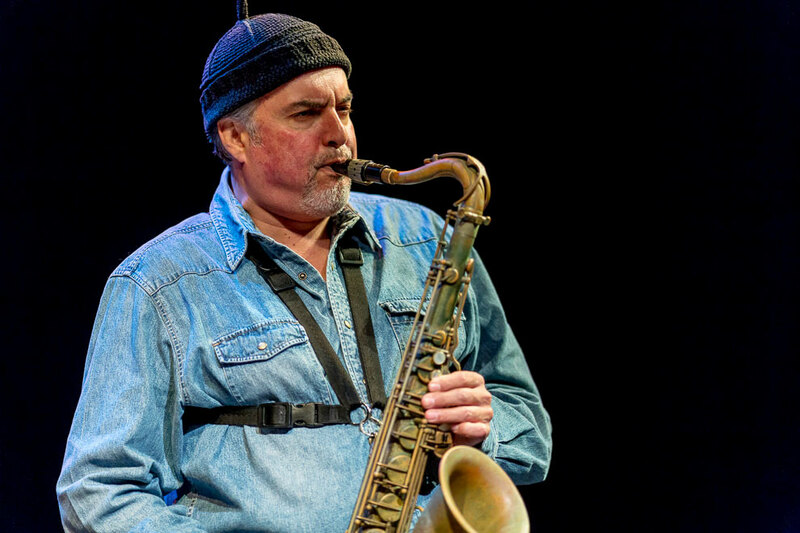 His grandfather Clinton Scott was the host of “Sittin’ in with Clint,” a jazz program at the WWOZ radio station; his uncle, saxophonist Donald Harrison, is a modern jazz icon. 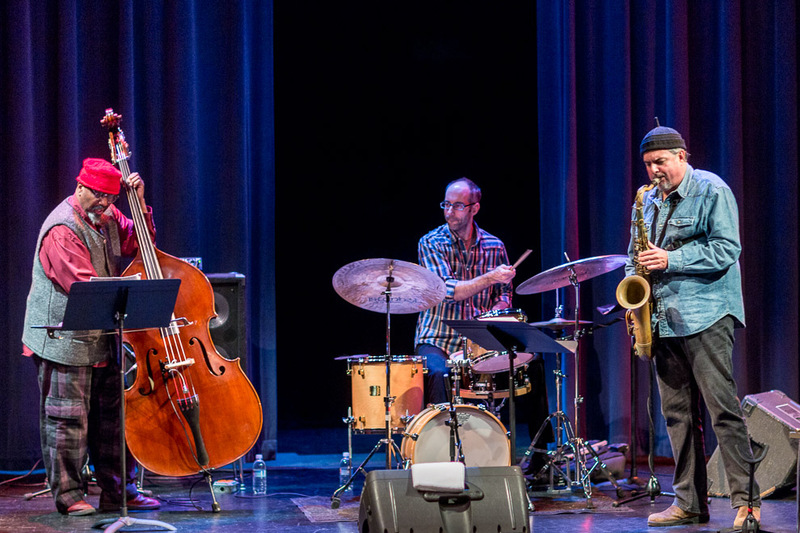 Scott takes these traditional foundations and creates innovative compositions with his self-described style of “stretch music,” pushing the limits of traditional jazz by adding stylistic elements like rock and hip-hop. 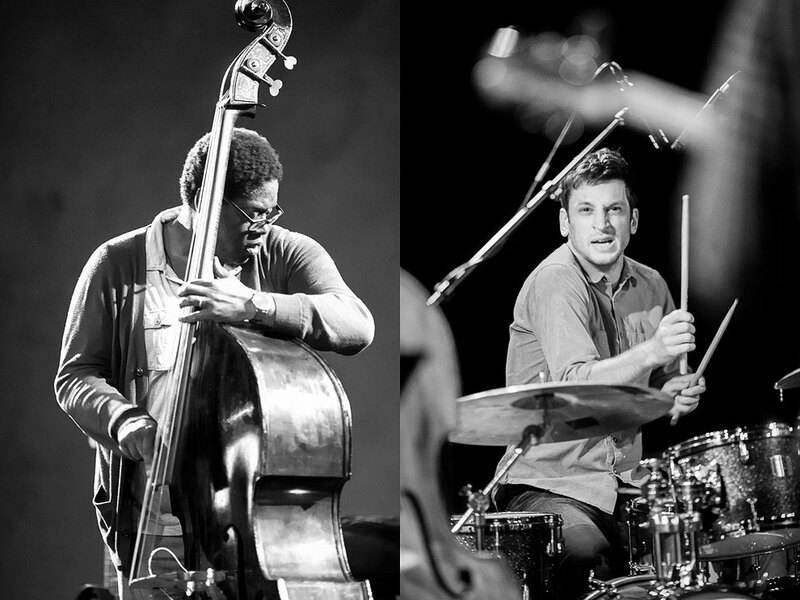 Bandmates Matthew Stevens on guitar, Lawrence Fields on piano, Kris Funn on bass and Jamire Williams on drums meet him at every beat. Scott started playing the trumpet at 12 and within a year was performing alongside his uncle. 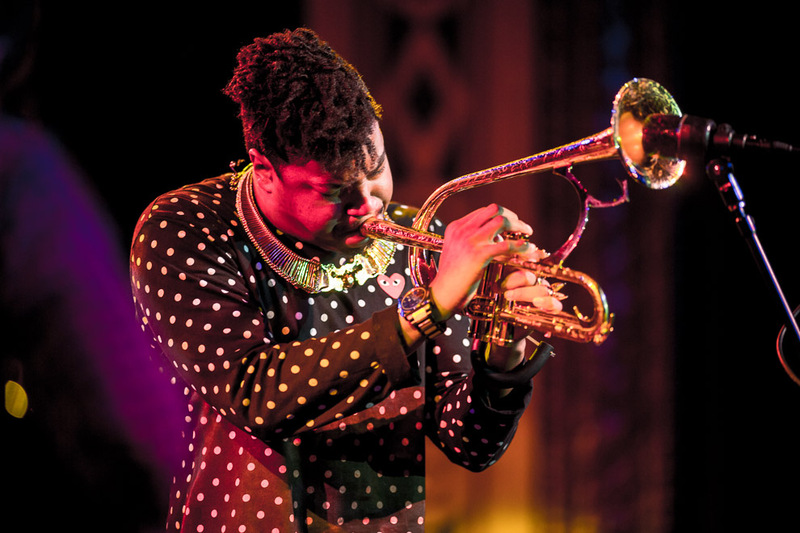 When he was 18, he self-released his self-titled album Christian Scott. 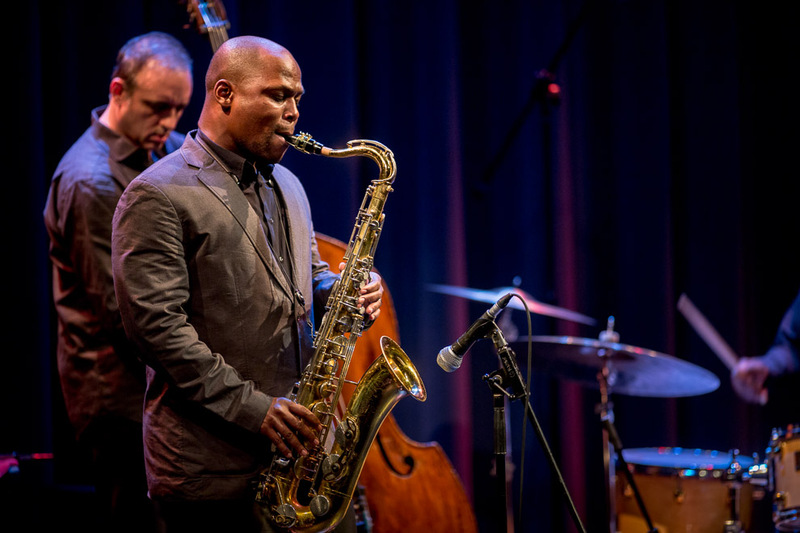 At 22, he signed with Concord Jazz and released the Grammy-nominated album Rewind That. With the release of sixth album Christian aTunde Adjua this year, Scott shows no signs of slowing down. 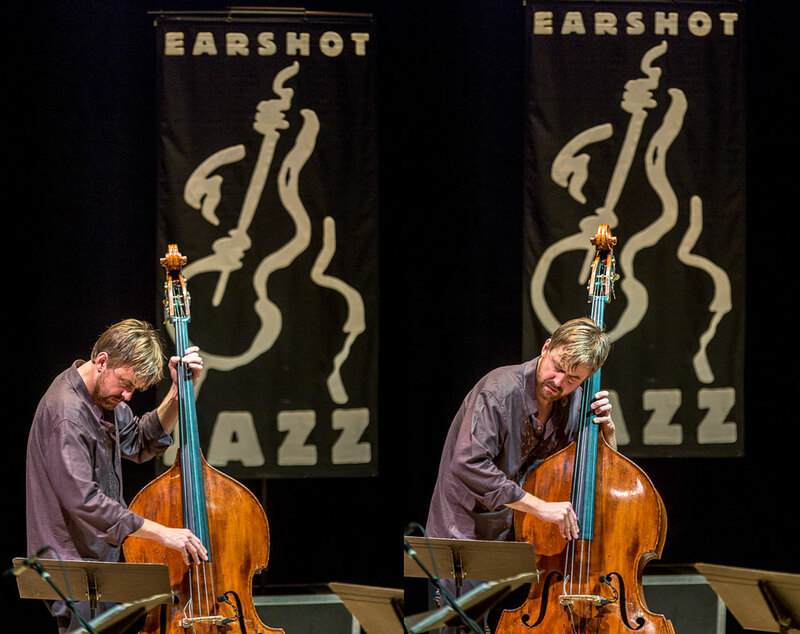 Accomplished bassist Chris Lightcapperformed new compositions with New York outfit Bigmouth: Matt Mitchell (piano), Tony Malaby and Andrew Bishop (tenor sax) and Ches Smith (drums) on Sunday at the Seattle Art Museum Plestcheff Auditorium as Earshot Jazz festival continues. A creative and dynamic ensemble, Bigmouth has met a high level of critical acclaim in its 13-year history. 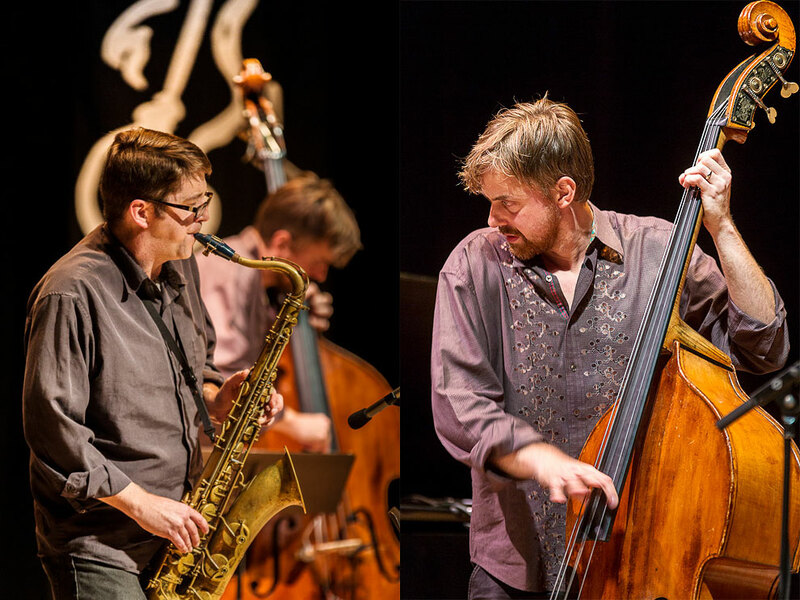 In 2010, the group’s Deluxe (Clean Feed), with special guest Andrew D’Angelo on alto saxophone, was called superb by the Wall Street Journal and named on over 20 year-end best-of lists, including the New York Times, NPR, the Village Voice and JazzTimes. In July 2011, Lightcap led the group on a European tour, highlights of which include festival appearances in Slovenia, the Netherlands and Portugal. 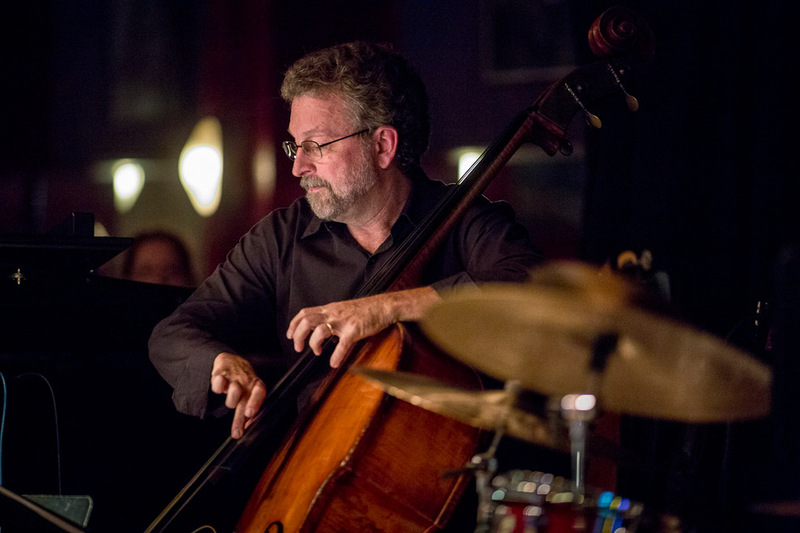 Born and raised in Latrobe, Pennsylvania, Chris Lightcap started out on the piano at age eight, switched to violin at nine and began to teach himself the electric bass at fourteen. 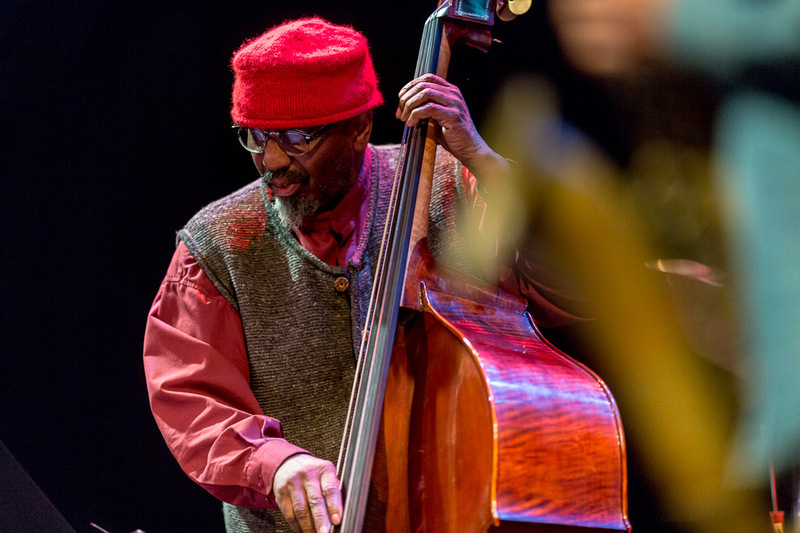 Later, while at Williams College, he studied with jazz bassist Cameron Brown, composers Robert Suderburg, David Kechley and Alvin Lucier, trumpeter Bill Dixon and the late master bassist Milt Hinton. 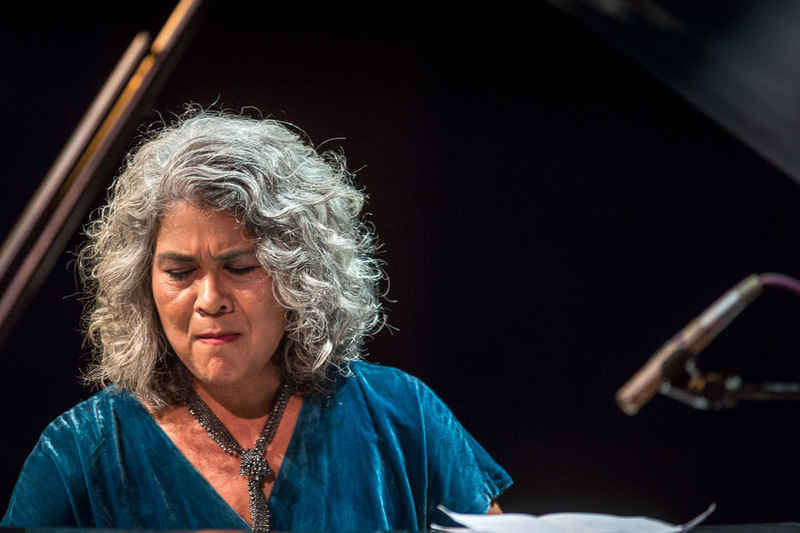 Lightcap moved to New York City, becoming a busy performing and recording artist within the city’s fertile jazz and contemporary music scenes. 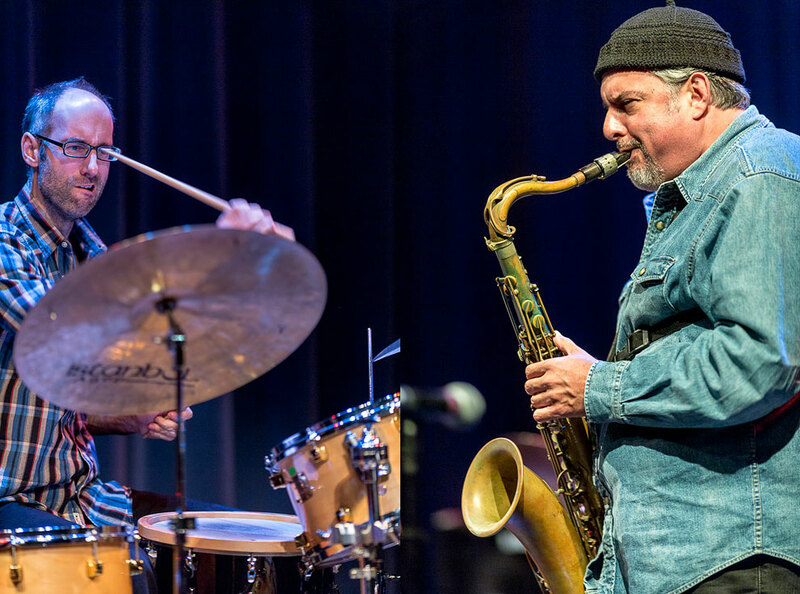 Lightcap has collaborated with Marc Ribot, Regina Carter, Mark Turner, Dianne Reeves, Tomasz Stanko, Chris Potter, Paul Motian, John Scofield, Dave Liebman, Paquito D’Rivera and Ben Monder, appearing on over 50 recordings. 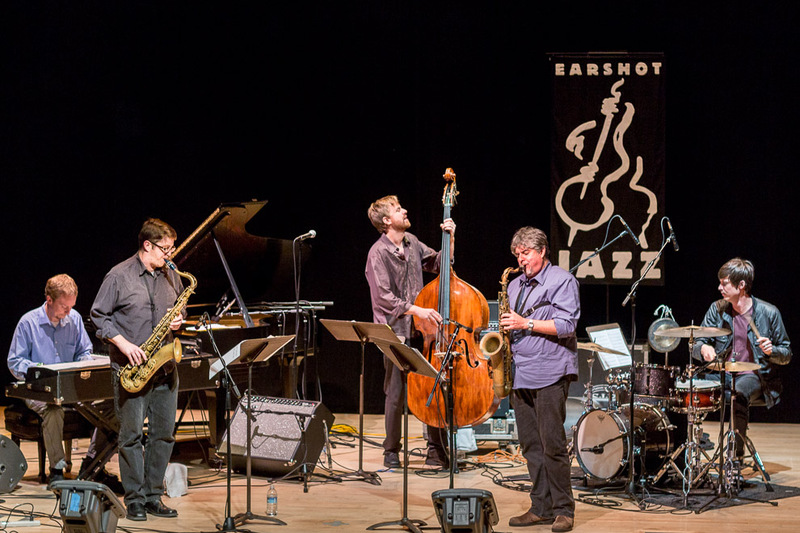 In 2011, Chamber Music America awarded Lightcap a New Jazz Works commission grant; Bigmouth premiers the new piece at this 2012 Earshot Jazz Festival performance at the Seattle Art Museum. Q&A with Chris Lightcap follows. 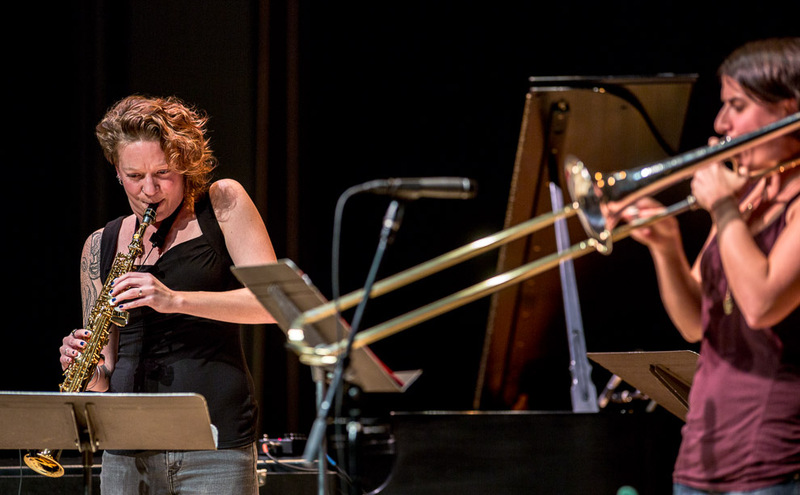 Emerging experimentalists Kate Olson and Naomi Siegel, with electronics, as Syrinx Effect open on Sunday night at Seattle Art Museum Plestcheff Auditorium as Earshot Jazz festival continues. Kate Olson holds a master’s degree from the University of Michigan. 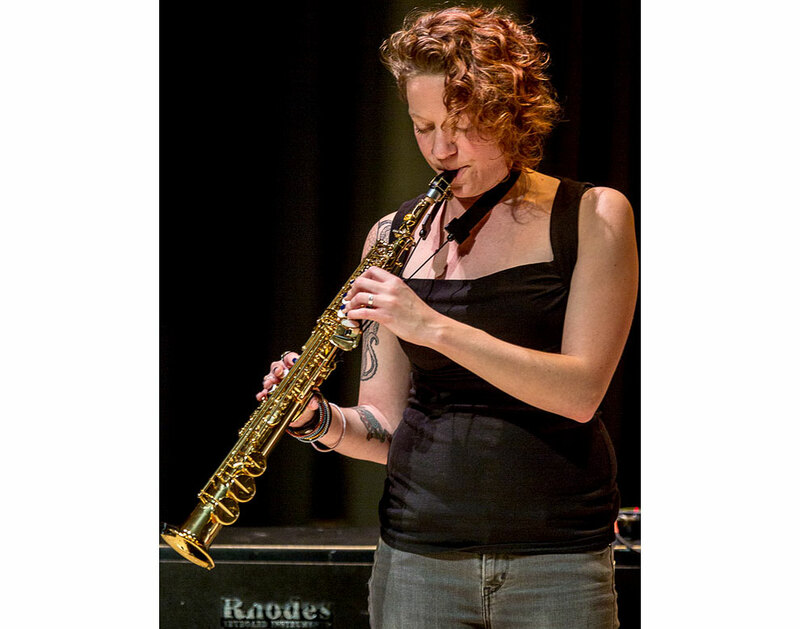 She is an area educator and performs with the Seattle Women’s Jazz Orchestra, the Royal Collective Music Ensemble and in smaller improvisational ensembles. 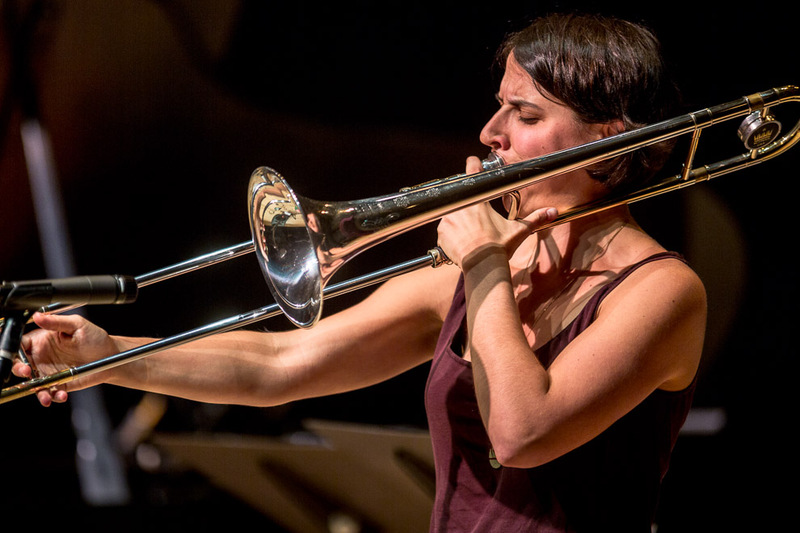 Naomi Siegel is a graduate of the Oberlin Conservatory, now a performer and music educator in Seattle. 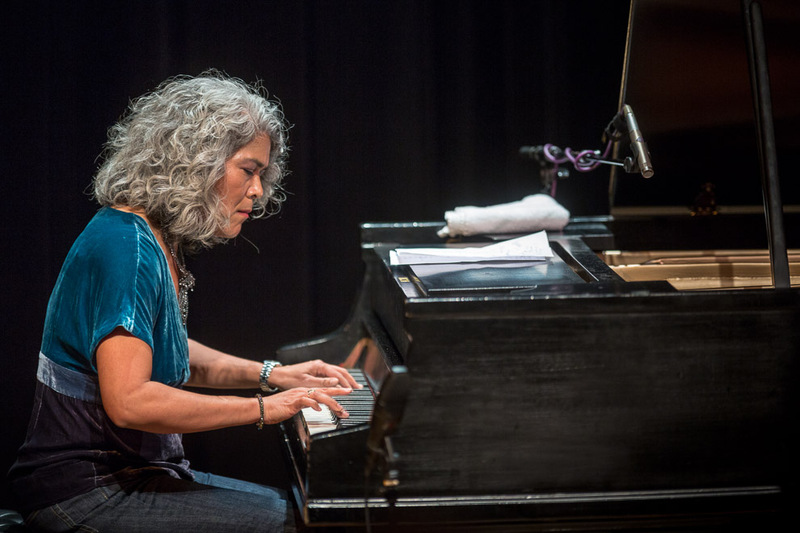 She regularly performs with Thione Diop, Picoso and the Royal Room Collective Music Ensemble. Another great night at Tulas as Earshot rolls on. 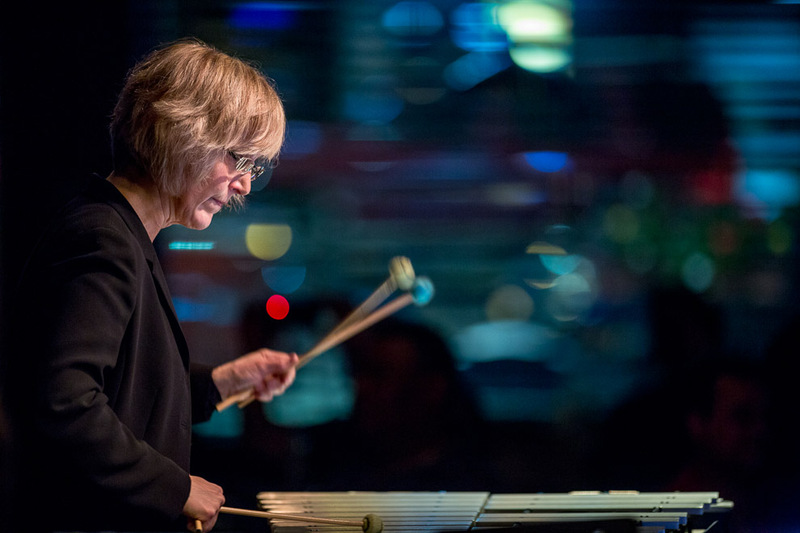 n this performance, vibraphonist Susan Pascal celebrated the 1960’s work of mallet masher Cal Tjader (1925-1982). 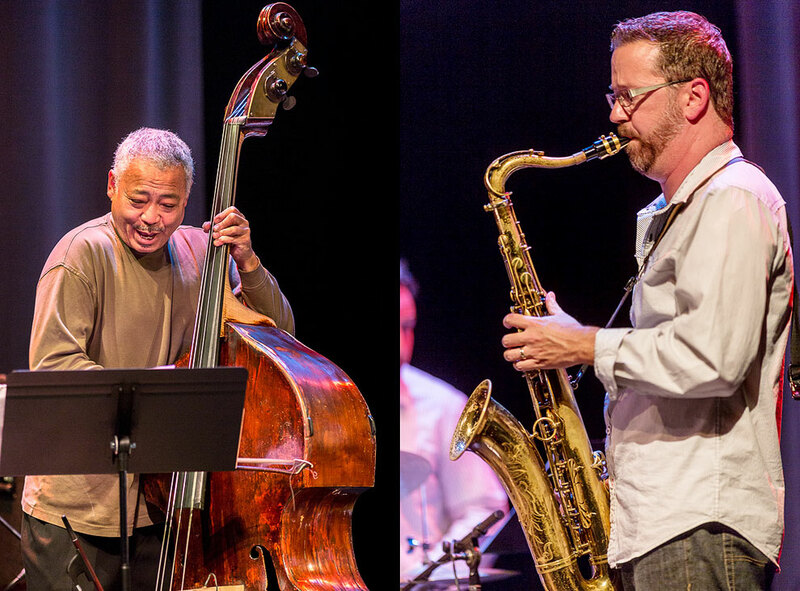 Pascal is joined by pianist Fred Hoadley and percussionist Tom Bergersen, from Seattle’s Afro-Cuban jazz band Sonando, and bassist Chuck Deardorf and drummer Mark Ivester, from Jovino Santos Neto’s Brazilian jazz band Quinteto. 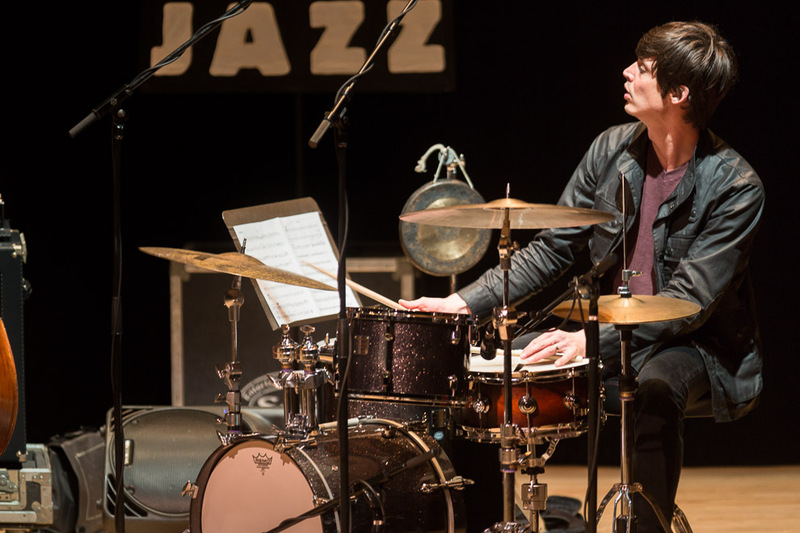 Swedish American drummer Callen “Cal” Radcliffe Tjader Jr. learned how to play the vibraphone while performing with pianist Dave Brubeck. His good vibes got him a job with pianist George Shearing. Later, Tjader sought out Cuban musicians to ply the warm waters of the late 1950s mambo craze. The title track of his 1964 album Soul Sauce, a cover of a Dizzy Gillespie song, climbed the radio charts and sold more than 100,000 copies. 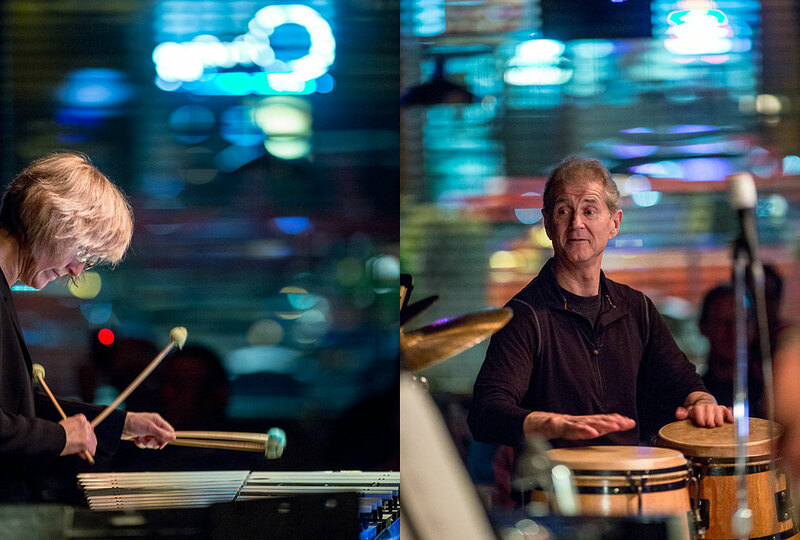 Pascal studied with Tom Collier, director of percussion studies at the University of Washington since 1980 and newly appointed chair of jazz studies. In addition to performances in Seattle clubs and concert stages, Pascal has toured Singapore multiple times. She appears on motion picture soundtracks for The Blind Side, The Wedding Planner and Office Space. 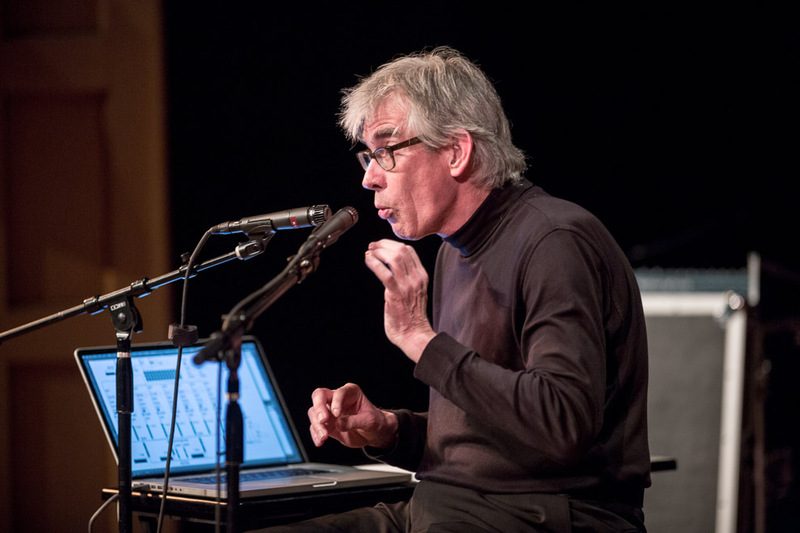 Dutch vocal improviser Jaap Blonk uses synthesized sounds, including samples of his own voice, in powerful, joyful performances structured by the mathematical algorithms that are his other expertise. Blonk presents his 4-channel-mix piece “Polyphtong” as a first set and Kurt Schwitters’ “Ursonate” as the second (as an acoustic performance). In “Polyphtong,” Blonk writes, the phonetic concepts of diphthong and approximant are an important focus in meditative sections of the work. It also uses the techniques of his cheek synthesizer, in which many kinds of stereo mouth sounds are driven by sheer air, ranging from very low to extremely high pressures. 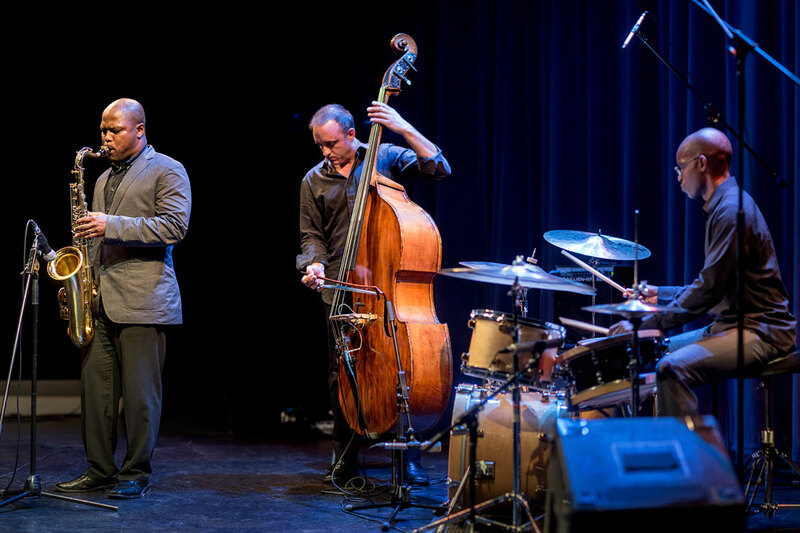 JD Allen and his wonderful trio played Friday night at Poncho Hall at Cornish College as part of the Earshot Jazz Festival. 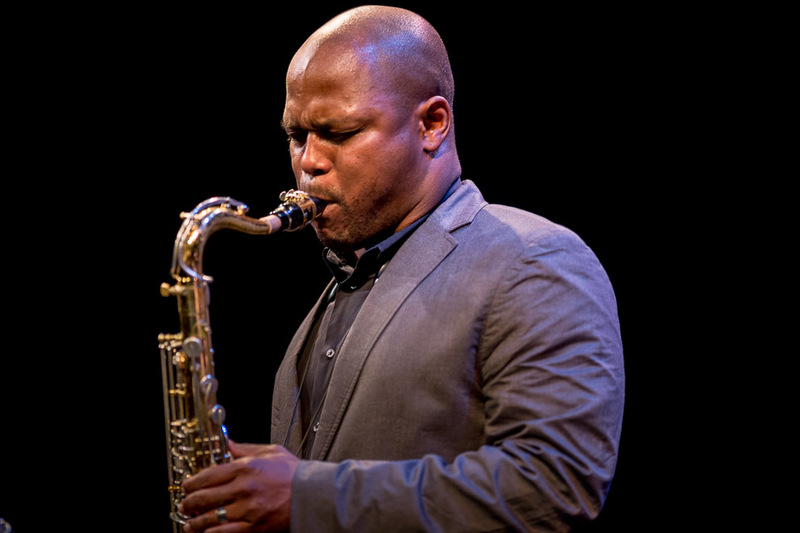 Hailed by the New York Times as “a tenor saxophonist with an enigmatic, elegant and hard-driving style,” JD Allen is a bright, rising light on today’s international jazz scene. 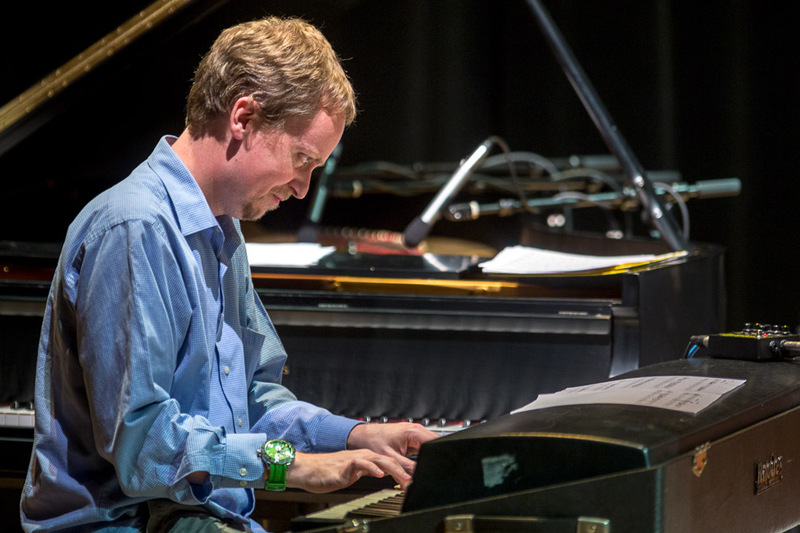 His unique and compelling voice on the instrument – the result of a patient and painstaking confrontation with the fundamentals of the art – has recently earned Allen a blaze of attention. His latest recording, Victory! 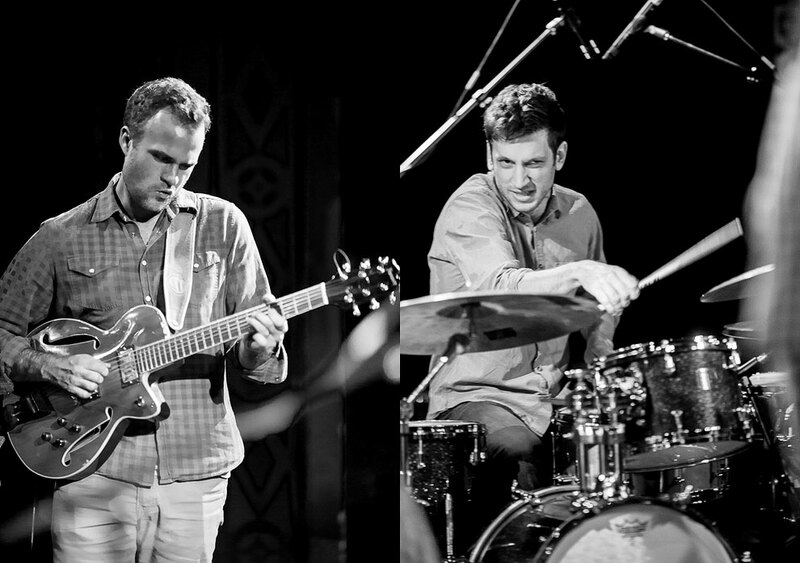 (Sunnyside, 2011), received four-stars in DownBeat and ranked as the third best jazz album of 2011 by NPR. The Victory! 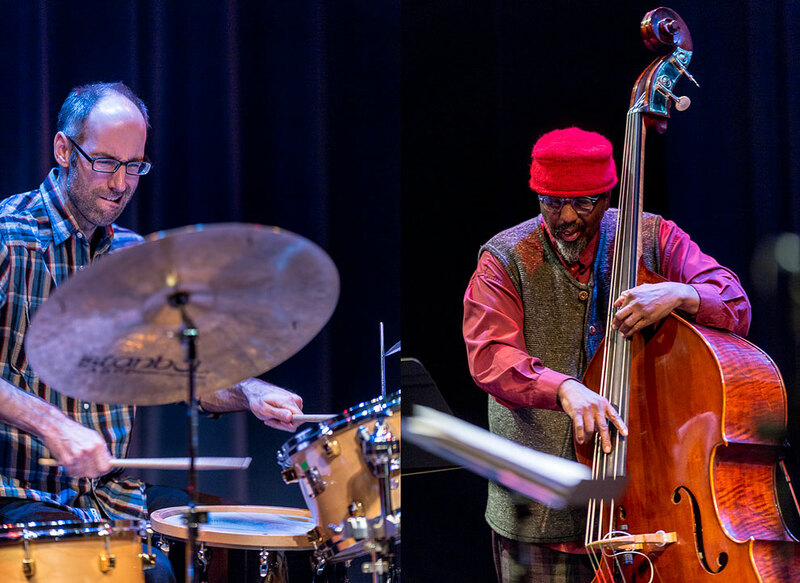 band, Allen’s longstanding trio with Gregg August (bass) and Rudy Royston (drums), features on tonight’s concert. 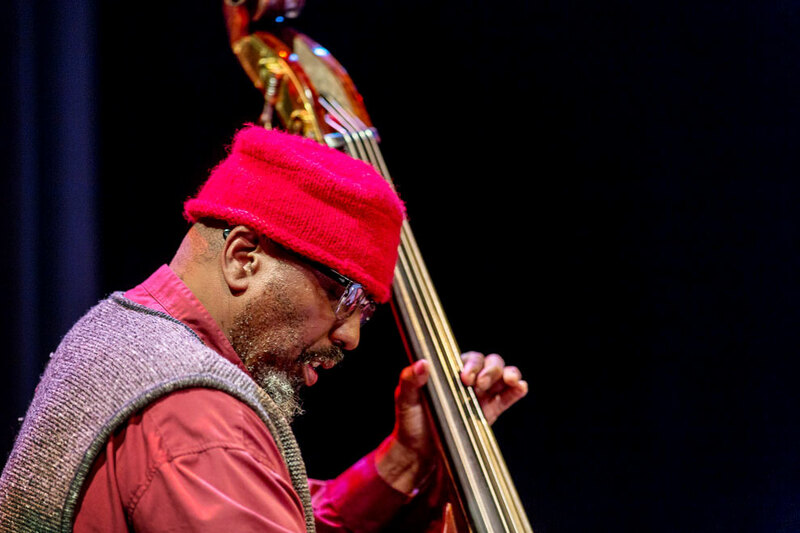 Originally from Detroit, Allen’s apprenticeship, anchored by his lengthy tenure with Betty Carter, occurred largely in New York, where he worked with legends Lester Bowie, George Cables, Ron Carter, Winard Harper, Butch Morris, David Murray and Wallace Roney. 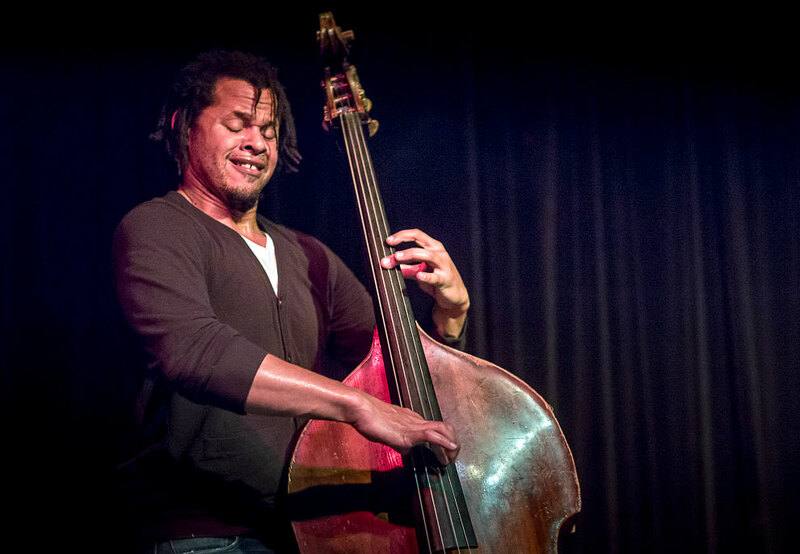 He added his voice to contemporaries Cindy Blackman, Orrin Evans, Dave Douglas, Jeremy Pelt, Gerald Cleaver and Nigel Kennedy as well. 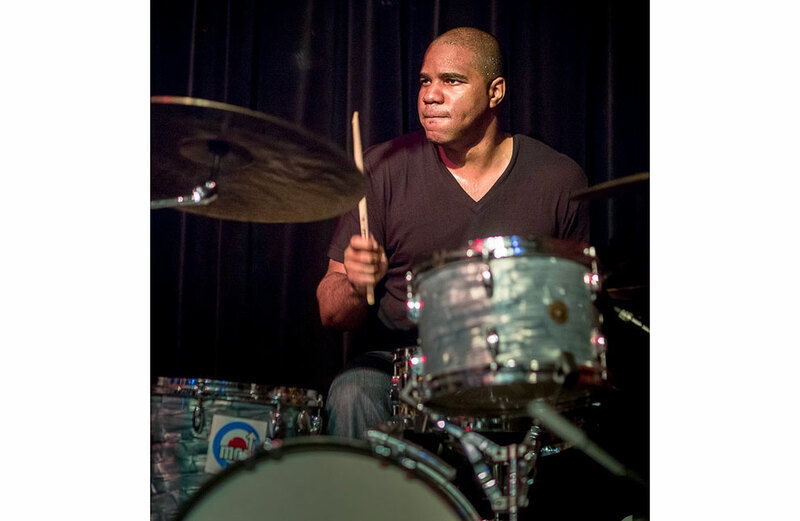 Following praise for his first two releases, Allen began an association with Sunnyside Records in 2008: I Am I Am features Gregg August (bass) and Rudy Royston (drums) and garnered rave reviews from the New York Times, Time Out NY, and DownBeat. 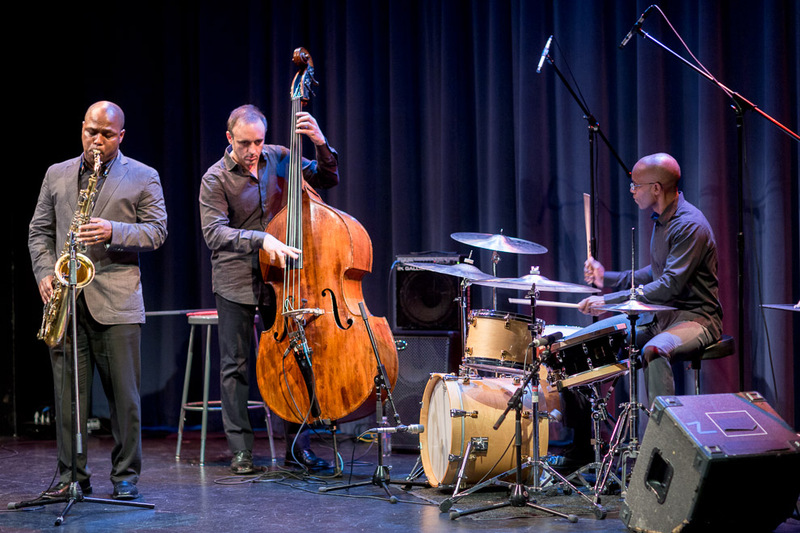 The headline act of Earshot Jazz Festival presentation last night at Poncho Concert Hall was the sensational New York trio of Tamarindo, with Tony Malaby (tenor), the great William Parker (bass) and Mark Ferber (drums). Strictly original – no covers or American songbook standards: “Twisting triumvirate coursing to the finish line,” bassist Mark Helias writes poetically in the liner notes of Tamarindo, the trio’s self-titled debut on Clean Feed, 2007. 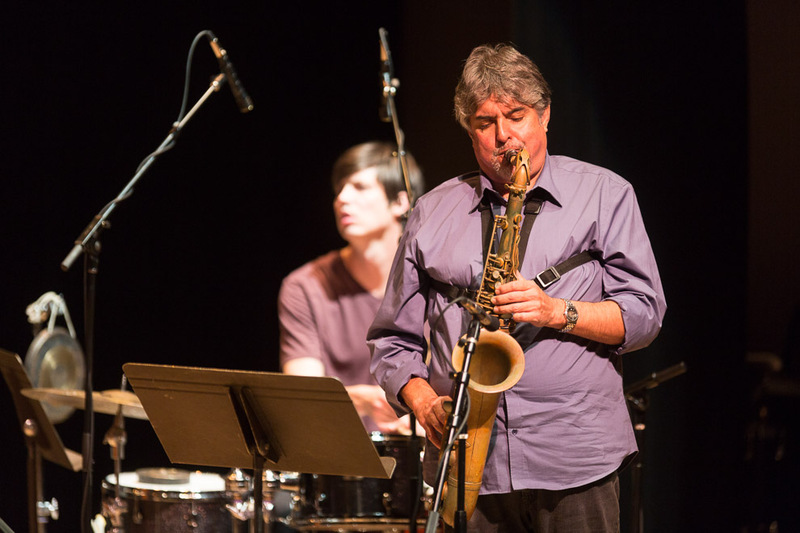 Five years later, Tucson-born tenor and soprano saxophonist Tony Malaby brings the project here. 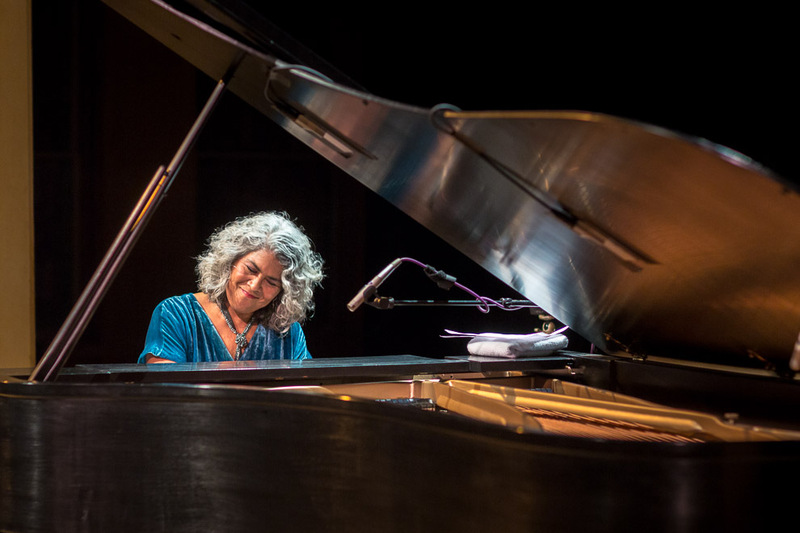 Malaby is a frequent flyer to Earshot events, appearing on stages here since the late 1990s. 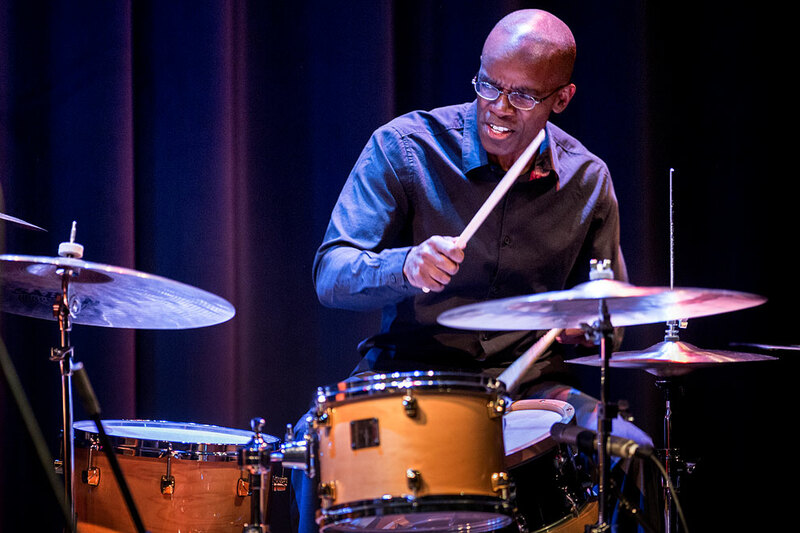 He’s been a member of many notable jazz groups, including Charlie Haden’s Liberation Orchestra, Paul Motian’s Electric Bebop Band, Fred Hersch’s Walt Whitman project. 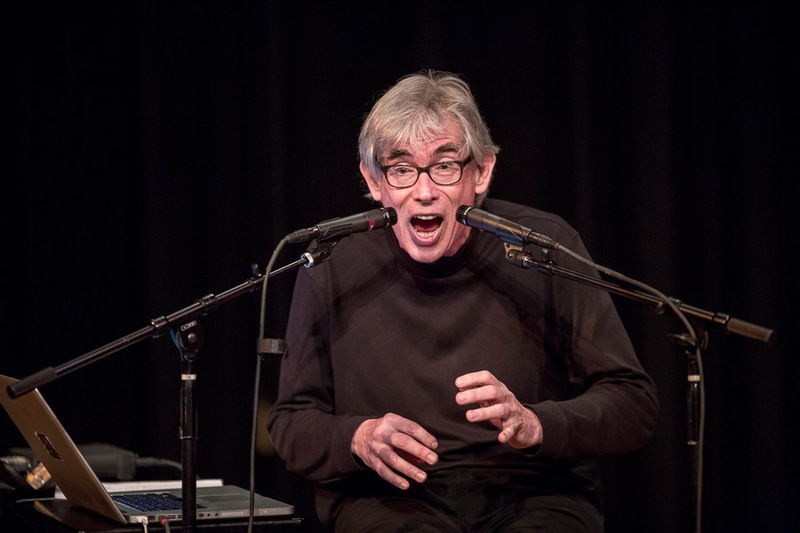 Malaby also has led several projects of his own, including his Apparitions projects with Drew Gress and Tom Rainey, Michael Sarin and John Hollenbeck. 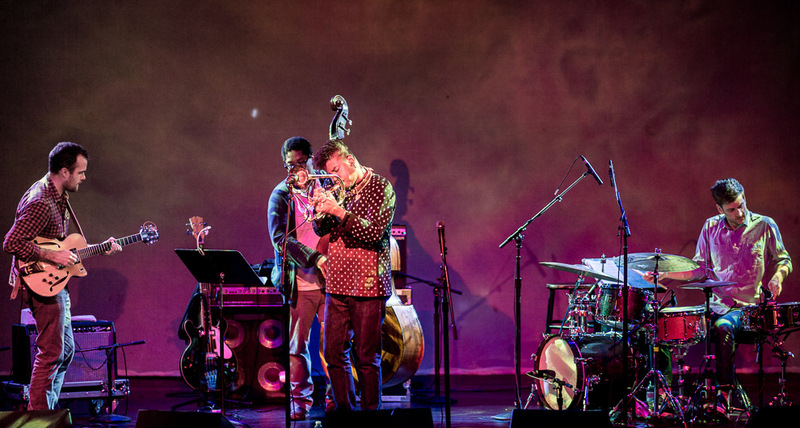 Bronx-native bassist William Parker anchors the harmony for Tamarindo. Parker studied with bassists Richard Davis, Art Davis, Milt Hinton, Wilbur Ware and Jimmy Garrison. 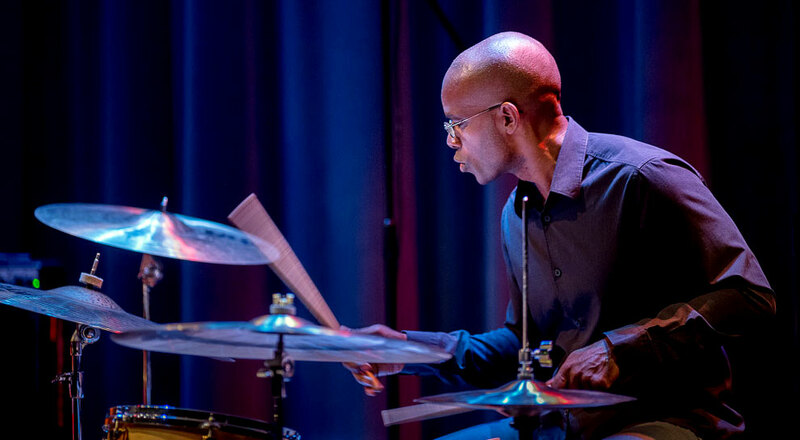 A legendary and powerful collaborator in the U.S. and European avant-garde, Parker’s work includes a decade-long stint with pianist Cecil Taylor, collaborations with drummers Hamid Drake, Milford Graves and Rashied Ali, and work on New York’s Vision Festival. 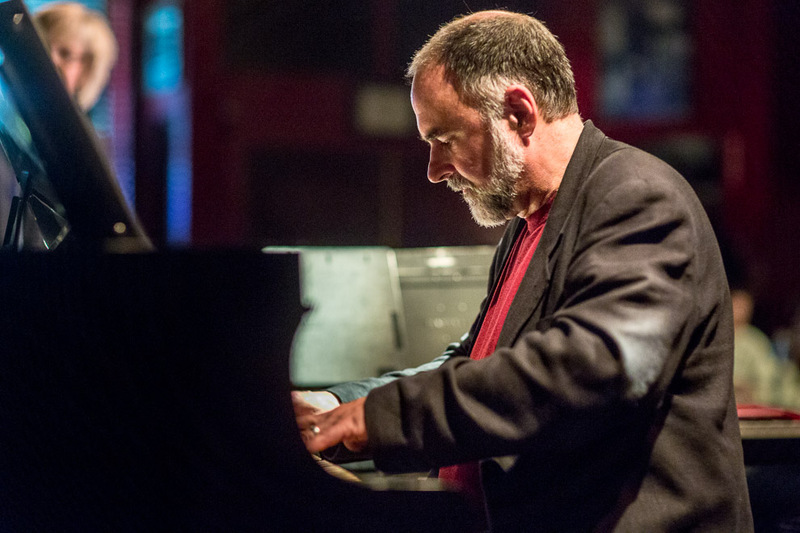 He has taught at Bennington College, NYU, the New England Conservatory of Music, Cal Arts, New School University and Rotterdam Conservatory of Music. Parker is also a composer, playwright and poet. The original incarnation of Tamarindo included drummer Nasheet Waits. 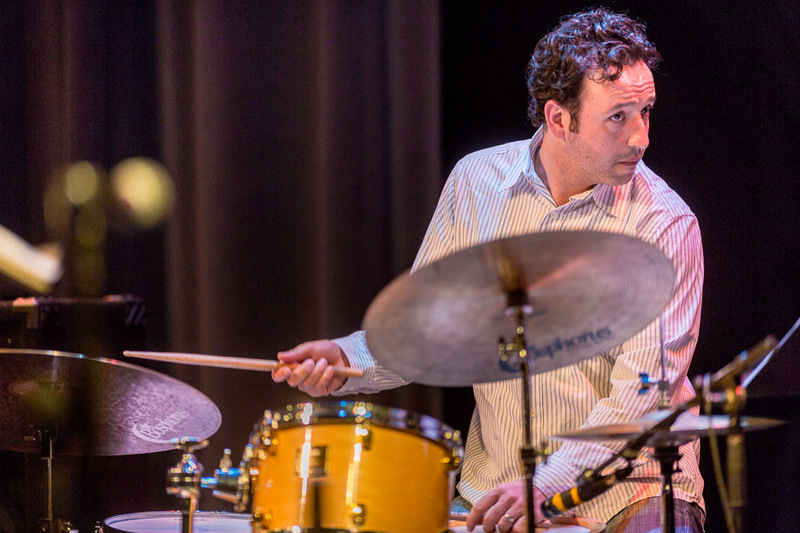 This time around, Mark Ferber occupies the drum throne. 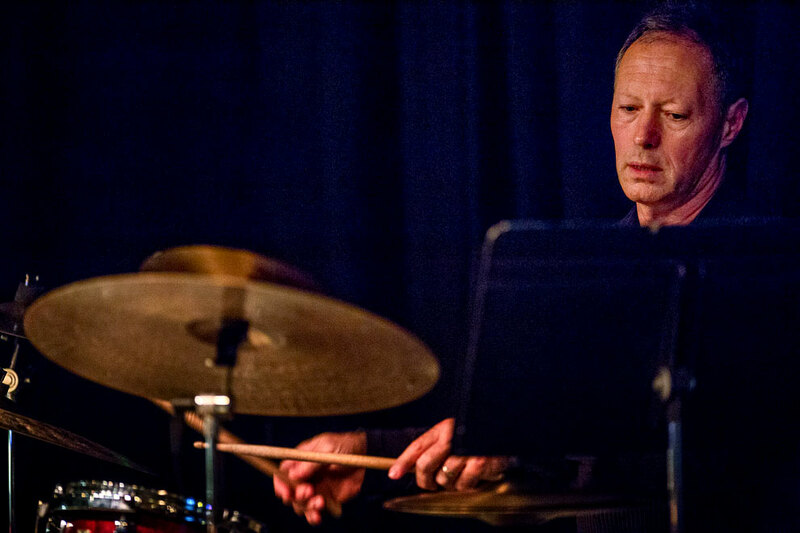 Ferber studied with Billy Higgins and Joe LaBarbara. 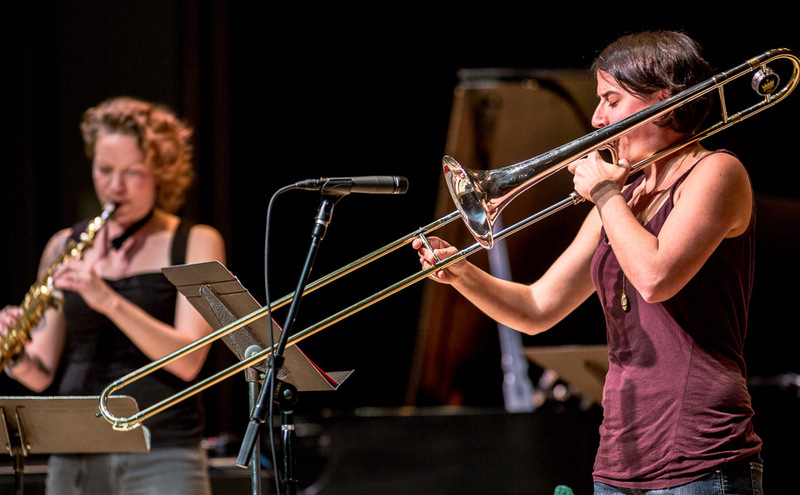 Now living in Brooklyn, Ferber is an auxiliary faculty member at City College of New York. 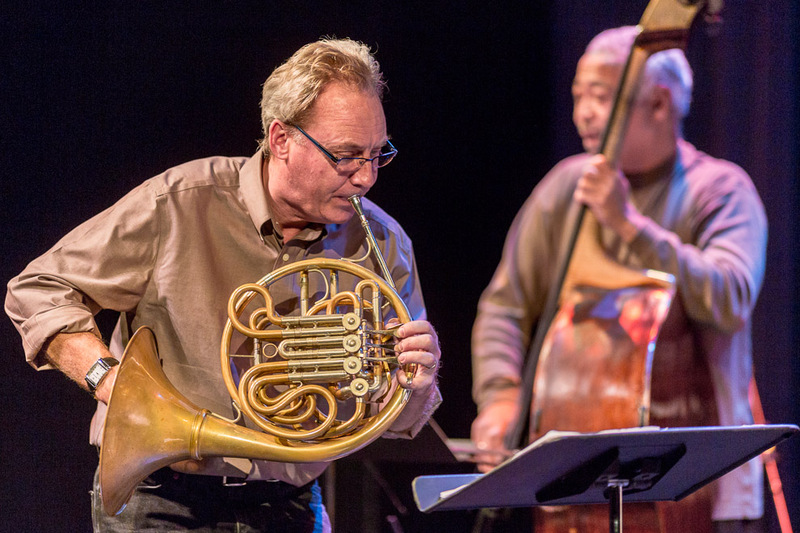 French horn player Tom Varner and Seattle saxophonist Eric Barber, bassist Phil Sparks and drummer Byron Vannoy opened last night for Tamarindo at Poncho Concert Hall at Cornish College as Earshot Jazz Festival moves on. 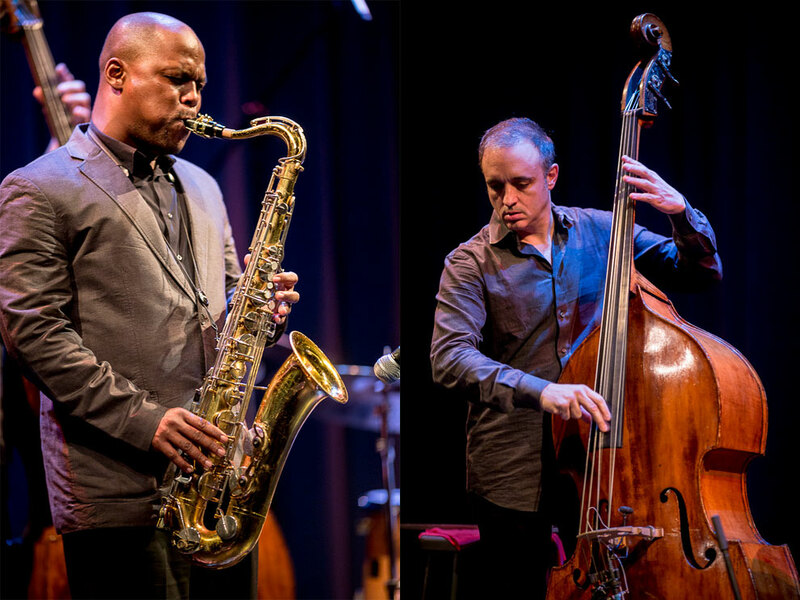 The Tom Varner Quartet celebrated the legacy of the late Steve Lacy, with whom Varner performed in Seattle in 1993. 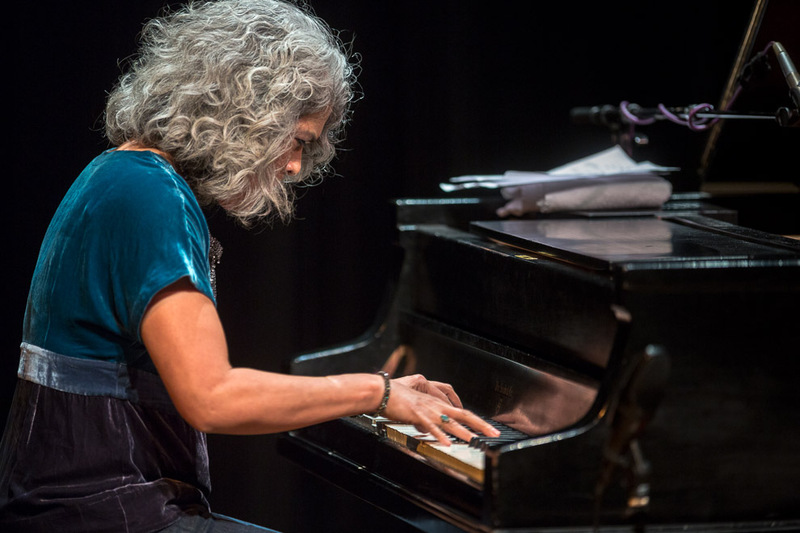 The program also included Varner’s arrangements of tunes by Lacy’s favorite composers, Duke Ellington and Thelonious Monk. 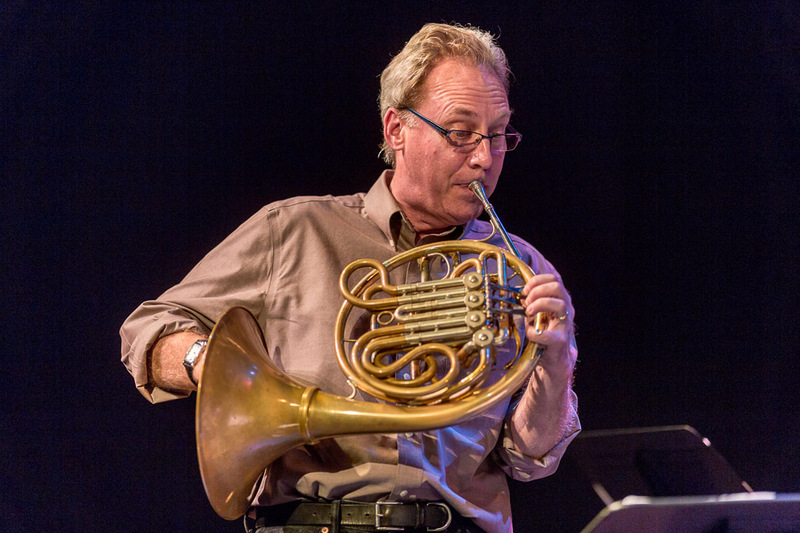 Varner studied with pianist Jaki Byard, composer George Russell and saxophonist Steve Lacy; organized the Julius Watkins French Horn Festival at Cornish; appears on more than 70 recordings; and performs with the Washington Composers Orchestra, Jim Knapp Orchestra, Seattle Repertory Jazz Orchestra, and his own quartet, nonet and tentet.